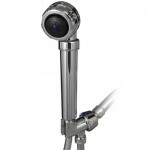 Having a chlorine shower, especially in the colder months, can leave you with dry skin that can make you itch causing discomfort, quite often extreme discomfort, this is where a sprite filter may be of help. Ever have that itchy, dry skin feeling after having a shower? It could be that the elements of cooler weather have dried out your skin and then when you have a very hot shower, laced with chlorine, the chemicals touching already irritated skin cause the skin to become inflamed and itchy. 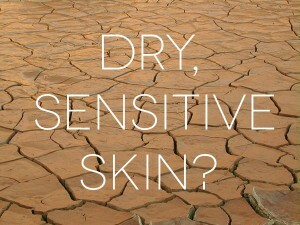 When the weather is cooler, the dry air dehydrates the skin, taking away a thin layer of oil that holds moisture in your skin. Small cracks appear in dry skin, affecting the barrier of the skin, so it is important to keep your skin hydrated and try not to irritate dry skin by having a chlorine shower. Because the weather may be cold, we tend to stay under a hot shower for longer. Not only to clean ourselves but to get warm, this is a recipe for dry skin. The same applies to soaking in a hot bath, heat will aggravate dry skin and cause it to itch. You should keep showering or bathing times as brief as possible ( unless having cold showers) and do not use hot water, only use lukewarm water. Try to use moisture rich body wash and gently pat yourself dry, rather than brisk rubbing, to avoid irritating or over drying the skin. The final step is to moisturise, you should apply moisturiser while your skin is slightly damp. Keeping moisture in your skin is essential for healthy skin and should be applied several times a day when your dry skin is at its worst. Chlorine is in our water supply to disinfect the water. While a large percentage of the population have water filters to remove chlorine for drinking, not many have a filter in the shower. 50% of chlorine exposure happens in the shower. You may not realise this but you can absorb up to 8 glasses of water, through the skin, during a quick 10 minute shower. 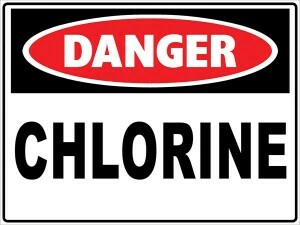 Absorbing chlorine this way is particularly dangerous because the chlorine goes straight into your bloodstream. 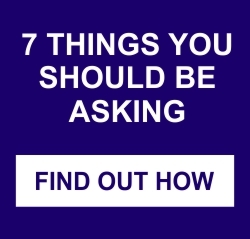 Meaning you are absorbing 6 times more chlorine per glass while showering as opposed to drinking the same amount of water. All bathrooms have some level in the air of chloroform gas, this is a derivative of chlorine and a known carcinogen — due to chlorine showers. Carcinogens are linked to cell mutation and oxidation of cholesterol. When you have a chlorine shower, not only are you increasing exposure to chlorine by absorption, you are also exposed by inhalation of chlorine vapours. If you suffer from a skin rash or skin conditions such as eczema, psoriasis or xerosis (severe dry skin) then removing the chlorine from your shower water can be very beneficial. You are essentially removing unwanted chemicals before the water touches your tender skin. The last thing you need is a chlorine shower, a chemical shower, on your already dry, itchy painful skin. Vapours are also a concern in a steam filled bathroom and studies have shown that chlorinated water is linked to harmful health issues. Chlorine vaporises in hot shower water and when inhaled into the lungs it then transfers directly into your bloodstream. These harmful vapours can also affect your respiratory system making it difficult to breath, especially if you are an asthma sufferer. Filtering the chlorine out of your chlorine shower has a multitude of health benefits.